Alexander J. Hatala is the President and Chief Executive Officer of Lourdes Health System, where he is responsible for the performance and overall management of the system and its affiliates. He has exceptional health system leadership abilities and thirty‐one years proven clinical, financial and operational leadership experience, demonstrated under diverse operating environments in three states. Mr. Hatala joined Our Lady of Lourdes Medical Center in 1986 as the Executive Vice President and Chief Operating Officer. He was named President and Chief Executive Officer of Our Lady of Lourdes Medical Center in 1991 and President and Chief Executive Officer of Our Lady of Lourdes Health System in 1998. Before serving at Our Lady of Lourdes, he was the Executive Vice President of St. Mary of Nazareth Hospital in Chicago, IL. He earned a B.A. (economics) from Rutgers University and an M.B.A./H.A. from the University of Florida in Gainesville, Florida. 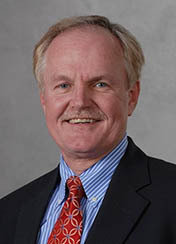 Mr. Hatala serves as Member of the Cooper’s Ferry Partnership (formerly the Greater Camden Partnership), Board member of the Chamber of Commerce of Southern New Jersey; Board of the Rutgers Business Advisory Council, and Board of the Catholic Healthcare Partnership of New Jersey. He served as Chairman of the New Jersey Hospital Association in 2010 and was a member of the Philadelphia Federal Reserve Board Economic Advisory Committee. He is a member of the American Hospital Association and a Fellow in the American College of Healthcare Executives.